Bright green-blue turquoise stones offset three textured sterling silver plates, crafted in a swirled and geometric designs. 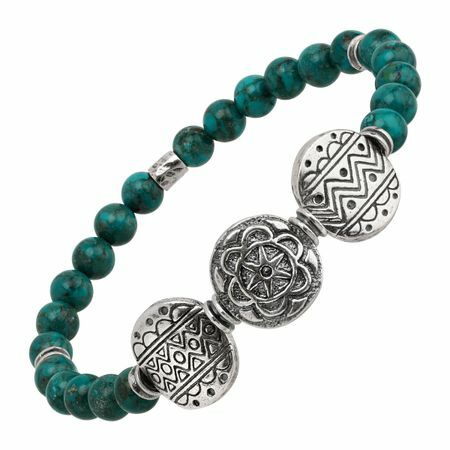 Bracelet measures 7 inches in length and stretches to fit; sterling silver plates measure 9/16 inches in width. Piece comes with a “.925” sterling silver stamp as a symbol of guaranteed product quality.